Would you like to spend your holiday on a luxury yacht? Are you interested in exclusive yacht charter in United Arab Emirates? Mega yachts and super yachts are the right thing for you? Rent a luxury yacht with all comfort, exclusive equipment and all inclusive on Happycharter, your portal for luxury yacht charter and boat hire! United Arab Emirates and worldwide. 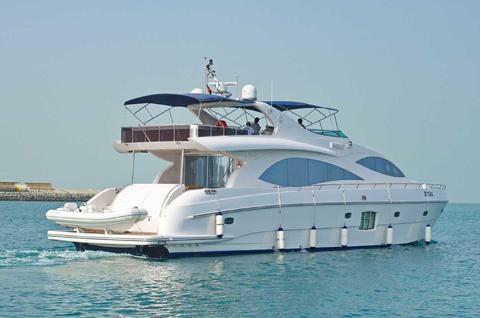 Do you offer luxury yacht charter in United Arab Emirates by yourself? Do you have mega yachts or super yachts for charter? Sign up end register your excluxive yachts for rent in our boat rental data base (not only in United Arab Emirates).